Women picking through wires torn out of computers. 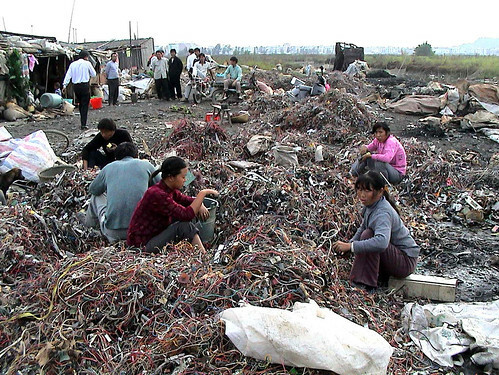 The wires are sorted by day and burned by night in this village. The families live right in the burnyards. Cancer causing polycyclic aromatic hydrocarbons and dioxins will result from burning wires made from PVC and brominated flame retardants. For uses forbidden by the license terms, contact us.